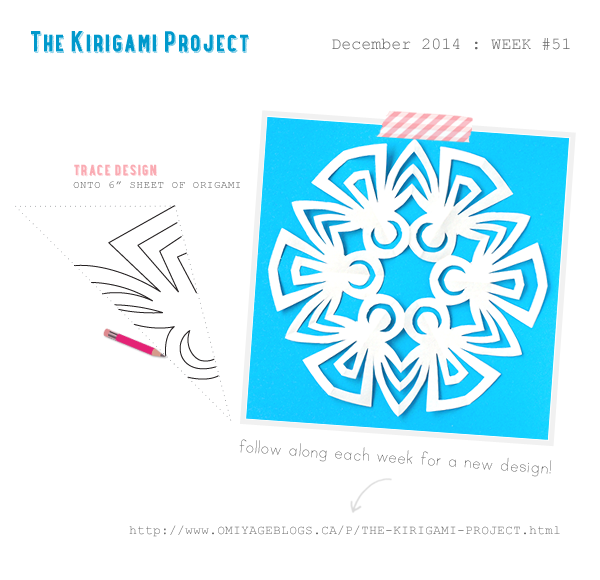 I'm pretty smitten with this design... and can you believe it's the second-last one already? 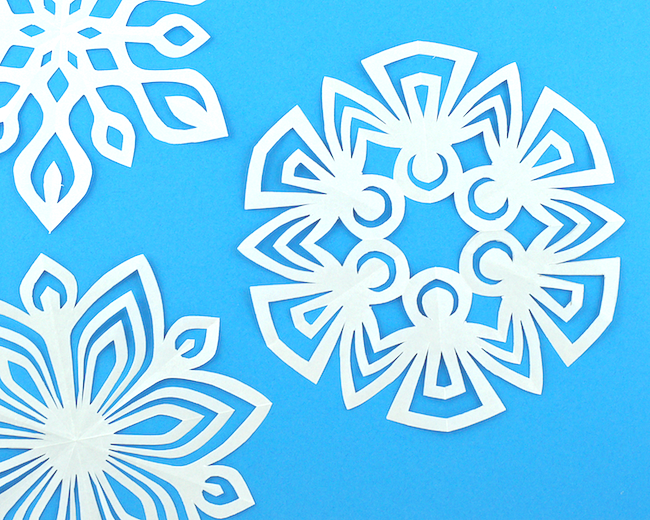 Gently festive with its choir of angels yet totally snowflake-y if you sit back and take in the whole design. Perfect for the Christmas season! 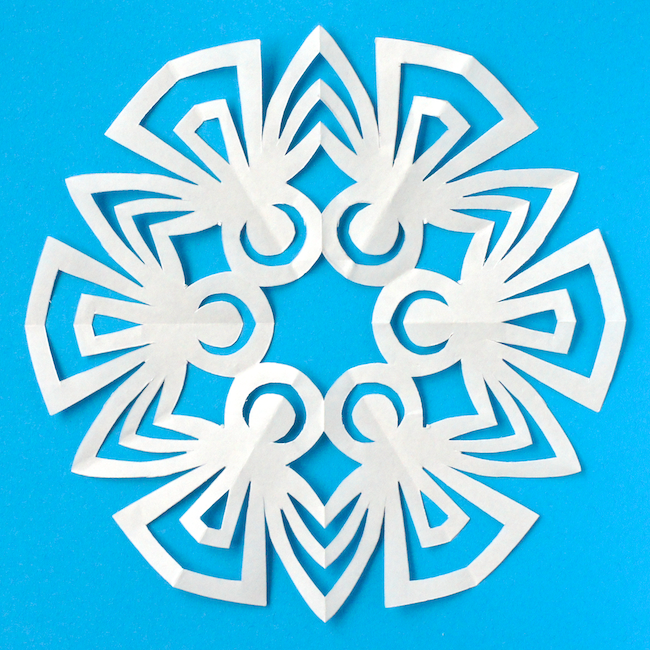 To create your own Angel Kirigami, use the template below and the 6-point folding pattern. 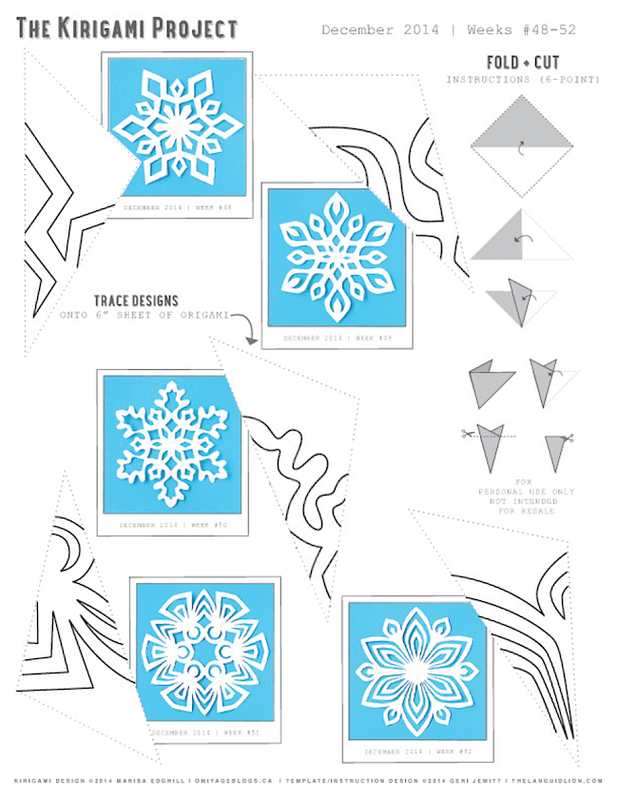 Since you might be snowflake-making this week in these last few days before Christmas, I've popped up the printable template a week early. Find it here!